It’s not every day that a bride will want blow up African animals at her wedding. It’s not every day a bride will have animal print sashes for her chair covers. 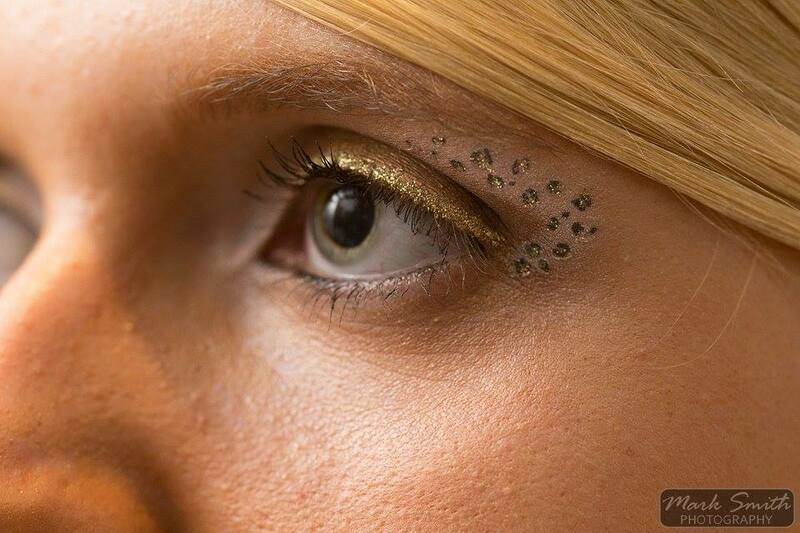 And it’s certainly not every day that a bride will have leopard print eyeshadow to walk down the aisle. Well, today we meet Jolanda who is not an ‘every day’ bride and her husband Marc, who did do all of the above plus more for their amazing South African inspired wedding reception. “Traditional has never been my thing” says Jolanda who was planning to get married to her uber traditional husband Marc in South Africa to really go to town with the ‘safari’ theme. When a change of circumstance meant this dream was no longer an option, the wedding was moved forward a year and the planning was full steam ahead! “There are so many service providers out there who tell you that they can cater for different styles and tastes but when you tell them what you want, they start talking about something completely different!” Jolanda was struggling to find service providers who could understand her vision and adhere to her design concepts but nevertheless she knew what she wanted and pressed on to find those special and fabulous few who ultimately helped her create her dream day. 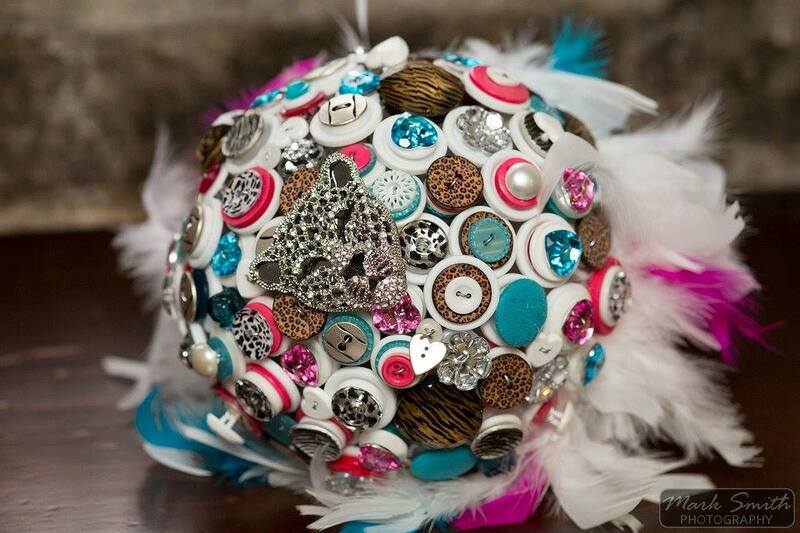 A personal highlight for me is the incredible button bouquet by Lesa from I Heart Buttons and the eyeshadow that looks fresh from South African Vogue. The main talking point as far as the decorations went were the 2 elephants that adorned the head table that had been sculpted from Ice by Global Ice Sculptures in Buckinghamshire. “People couldn’t believe that the sculpture was as cheap as it was – our guests thought it would have cost a lot more!” The hand made wedding cake was also a talking point and something the couple ‘couldn’t have been happier with’. Two cupcake towers stood either side of the adorable two tier creation that featured two elephant figurines on top – are you sensing the theme yet guys!? The result was exactly what Jolanda and hubs Marc had hoped for and their day was magnificently captured by Mark Smith Photography who had put the couple at ease from start to finish and even shot them an engagement shoot to make sure that he could keep up with Jolanda’s quirky style! Check out this flamboyant, fabulous and unique wedding gallery – dare you borrow any of Jolanda’s amazing ideas! ?